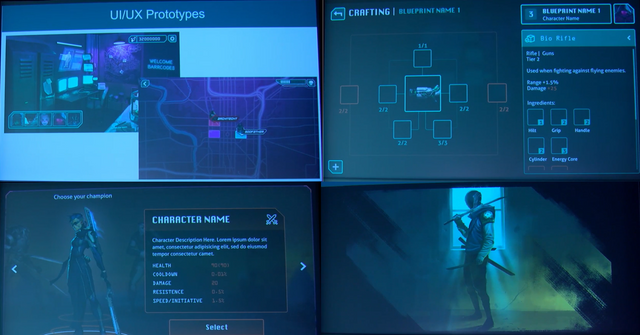 Neon District, everything we know about the upcoming Cyberpunk RPG!steemCreated with Sketch. Blockade Games is very soon releasing their flagship game, Neon District! 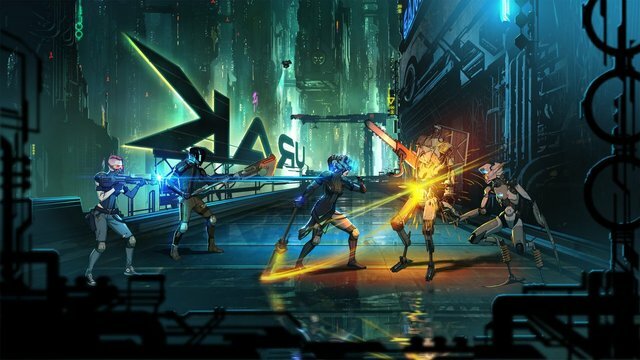 It is an upcoming cyberpunk RPG running on a Loom sidechain. Blockade Games is an indie game studio, which is widely recognized in cryptoland for their puzzles, which historically has had awesome crypto prizes. We first heard about Neon District in January 2018, but much has happened since then. The team has transitioned from the idea of a Trading Card based RPG into a fully featured RPG. The game is launching an early access version of the game on the 1st of May. In order to join you have to sign up to the waiting list. If you sign up before the 13th of March 12 pm ET you will receive a FREE PlasmaBear. PlasmaBears is another cool game developed by Blockade Games. Every PlasmaBear is composed of several NFT body-parts that make up the bear. Basically you have to send your bears on missions in order to get better bear body-parts! Very soon you will be able to trade these for ether on their official marketplace. Everything is free to play and there are no fee's since they use a Loom sidechain for the bears! Images from a presentation by Ben Heidorn from approximately 5 months ago. You will be able to choose a Champion, and this character will evolve over time gaining experience, and acquiring new NFT items to wear. The idea from Blockade Games is that value should come from playing (Proof of Play), meaning that the more you use your assets/characters the more rare they should become. From the pictures we can see that a character has a leveling system a long with Health/Armor/Damage and a name. In the example above, the champion is an Architect. We can also see that it will be possible to equip items at several spots, such as Hands/Legs/Feet etc. In the picture above we see a “Bio Rifle”, which is a Tier 2 weapon. We see that there is a number of “ingredients” that make up this weapon. And a cryptic screen to the left that suggests that you can further enhance the weapon. I imagine you will be able to craft a vast amount of items, and considering the history of people in Blockade Games, it will probably be up to the players to find out what kind of stuff you can craft. From the gameplay video we can see the combat system, in some ways it reminds me of how PvP works in Axie Infinity, but in Neon District the team we see to the left might actually be multiple players teaming up, it’s hard to tell at this point in time. The animations look amazing, I can’t wait to see what loot we get from these encounters. We can see that some champions might have a revive ability, which could mean that we should assemble teams like in classic RPG’s with a support, tank and damage dealers. As mentioned in the intro, a waiting list has been published and you should really go and sign up, as early as possible. In discord it was mentioned that it would probably be a few weeks until the wait is over. During this time the community is suggested to attempt to improve their position in the waiting line, to get better rewards when the sale happens! Thanks for reading, I hope you are as excited as I am to play Neon District! PS. I highly recommend checking out the video listed below for more detail!